*** 2009, 2010, 2011, 2012, 2013, 2014, 2015, 2016, 2017, 2018 GIGMASTERS TOP BOOKED PERFORMER RECOGNITION ***Five Star Rated and Nationally Ranked based on hundreds of bookings! 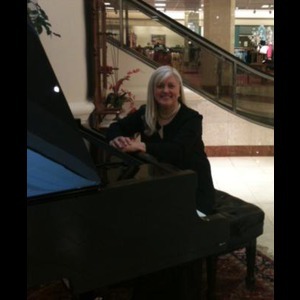 With her BSME degree from The American Conservatory and her MME from Roosevelt University, Jerri Nance is a professional freelance musician and music educator located in the Chicagoland area. In addition to teaching in both public and private schools she has performed in venues throughout the Midwest. She has created her own arrangements and plays at least 20 hours per week. Past appearances include Branson, MO, televised event in a Chicago restaurant, Purdue University, The Joyce Center at Notre Dame University (800-900 attendees), City Winery, Kingston, TN Lodge, The Chicago Club, The Chicago Yacht Club, The Tower Club at the Lyric Opera, The Palmer House, The Hyatt (Chicago), Mart Plaza, Makray Golf Club, The Glen Club, Orrington Hotel, The Oak Brook Club, Oak Brook Bath and Tennis Club, Butterfield Country Club, European Crystal, Schaumburg Renaissance, Chateau Bu Sche', The Abbington, Harbor Springs Golf Club,MI and St. Stephens College. 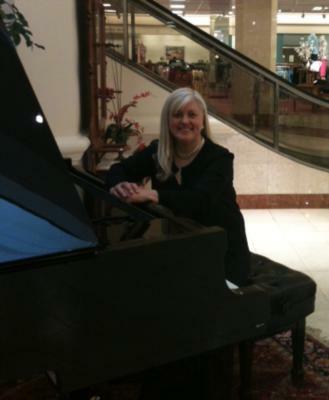 Jerri has performed for many corporate clients and colleges/ universities. Whether a large international corporate event or a small dinner party clients can customize their play list to suit their occasion. Jerri has a playlist of hundreds of songs from all genres up through current rock. Jerri is a GIGMASTERS STAR 275 PERFORMER and is a member of numerous professional organizations including: Music Teachers National Association, past V.P. of the Naperville Chapter of the Illinois State Music Teachers Association, member of the Music Educators National Conference, and The Downers Grove Music Club. Licensed private pilot and certified piano tuner. Jerri normally performs about 25+ hours per week. Contact Jerri for her upcoming performances! Jerri looked beautiful and her music was beautiful! We decided last minute to have a pianist and vocalist, Jerri learned our song by ear with only one week until the wedding!!! She was amazing and we loved her personality as well! Thank you so much Jerri!! Jerri was a delight to work with! She was very accommodating to my requests and time frame; she even stayed a bit longer than we had contracted originally without any fuss. Her repertoire was fabulous, she played continuously and mixed the old in with the new, played show tunes and contemporary. i would absolutely hire her again and certainly recommend her to anyone interest in hiring a terrific entertainer! She did a great job. Our guests at the wedding said they thoroughly enjoyed the music she played. Jerri was fantastic! She was so easy to work with and added an extra level of class to our VIP Event! Jerri was overall VERY professional. She was VERY accommodating as she switched her entire schedule to perform for my event. She was thoughtful, courteous, kind, talented, and very passionate about the piano. I would rate her a 5 star for overall experience! She was fabulous! Jerri was such a wonderful addition to our party. Our guests were greeted with beautiful piano music when they arrived and you could hear her playing quietly over the buzz of the party. Her music was just lovely and totally appropriate for the evening. She was fabulous and our guests kept her there chatting after the party. She is very friendly and professional. Jerri is a great choice and we will not hesitate to have her back. Thanks Jerri! Jerri was fantastic! She did all the pieces I requested and even learned new songs that I wanted included in the ceremony. She was on time to everything and even attended the rehearsal, which a lot of musicians won't do. She put me at ease that everything was taken care of! Jerri was extremely nice and professional. We asked for a piece that was not on her extensive list of musical choices and she was prompt in informing us that she knew the piece and would play it at the wedding reception. She arrived before the time she was scheduled to start and was playing as the guests arrived. I highly recommend this wonderful artist. My wife and I hired Jerri Nance to play during the cocktail hour of our daughter's wedding reception. We were extremely pleased with her professionalism, charm, and musicianship. Jerri received many compliments from our guests. In addition, Jerri handled arrangements with the venue's events coordinator which was much appreciated. We cannot thank Jerri Nance enough for providing the music on such a special day. She made the occasion truly memorable. Please note Jerri Nance will also travel to Bolingbrook, Darien, Lisle, Naperville, Westmont, Clarendon Hills, Hinsdale, Lemont, Carol Stream, Glen Ellyn, Oak Brook, Romeoville, Lombard, Warrenville, Western Springs, Wheaton, Aurora, Fox Valley, La Grange, Villa Park, Willow Springs, Winfield, Eola, Justice, La Grange Park, Lockport, Westchester, Berkeley, Brookfield, Elmhurst.